I still feel like my first impression was justifiable. My biggest mistake was so quickly dismissing an Atlus published game. Atlus has a history of personally surprising me, and had I noticed its logo, I may have forgiven Code of Princess’s more off-putting initial impressions. Now that I’ve taken a bit of time to educate myself I am absolutely intrigued by the possible depth of this brawler/RPG. 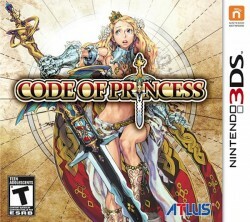 Read that genre combination again along with the knowledge that Code of Princess has more than 50 characters, 100 quests, and 4 player co-op. 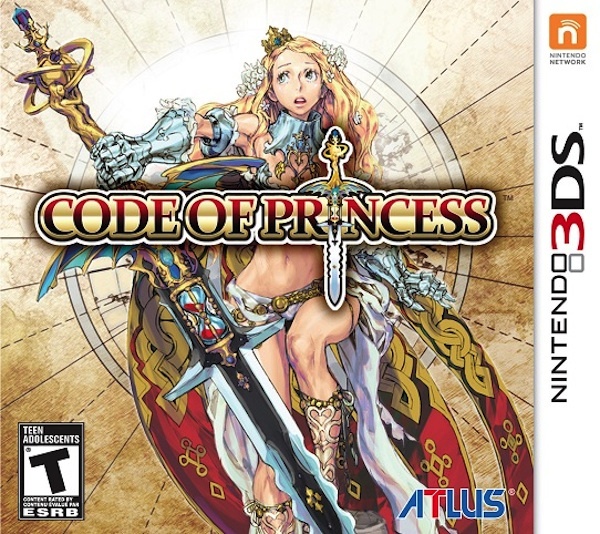 It should also be noted that Code of Princess draws its inspiration from Guardian Heroes and members of the development team also worked on that game. As for the whole “too much princess”-effect that initially shoved me away, if the gameplay holds up I’ll have no problem subjecting myself to the “are you a perv” glances I’m sure to receive when picking this up at my local retailer along with my shiny new 3DS. Then again, maybe that’s what online retailers are for. I’d give it a try too, but come on man. Can we have a heroine that doesn’t have ridiculously long, flowing blonde hair that, in reality, would get caught up in that sword that realistically she’d have no chance of even swinging around, let alone jumping 40 feet in the air with. And come on, you think she could really swing that sword with “those” anyway? That aside, combat looks kinds cool. If that’s the case, I definitely recommend an online purchase and to let the mailman leave it on your doorstep. I agree completely. Now, if its was a completely-naked female hero… then I’d buy several copies… along with the limited release dakimakura. Totally loving my 3DS. This game looks pretty awesome as well! The cover art definitely kinda put me off at first but seeing the action causes me to reconsider that initital judgement. Now if I can just get around to beating my other Atlus games. Persona 3 FES keeps sucking in my soul each weekend.